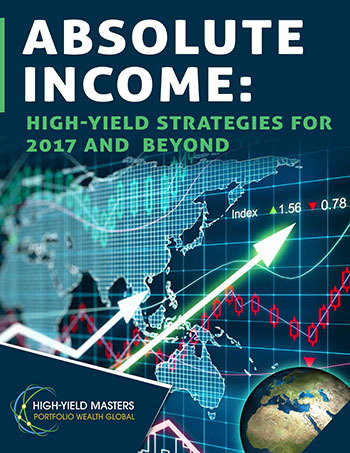 High-Yield Masters are stocks that are designed to provide yields that are uncanny in the market. 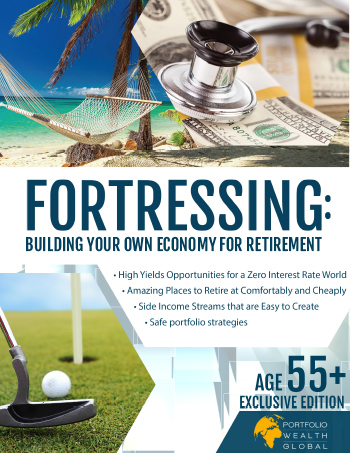 Retirees, savers, and savvy investors in search of high yields outside of bonds understand the importance of passive income to a well-rounded portfolio. 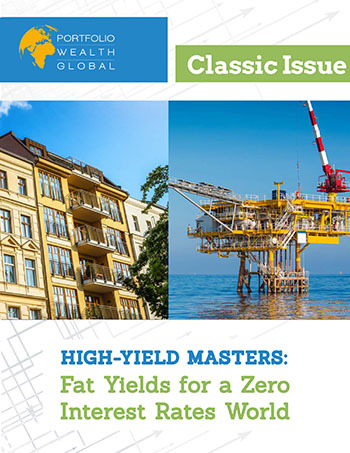 The two High-Yield Masters in this exclusive issue are rock solid and poised and built to generate wealth. 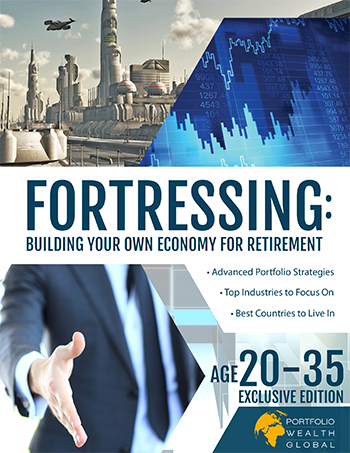 The Trump era has begun and with a record 80 million people retiring in the U.S. alone, a steady income stream is an all-important financial factor to secure.The Portfolio Wealth Global team researched 16 separate income ideas and 53 different stocks, in order to identify the ultimate strategies to generate income and fat yields in a low-interest rates world. Some of the most pristine locations that our planet has to offer are the Swiss, Italian, and French Alps. 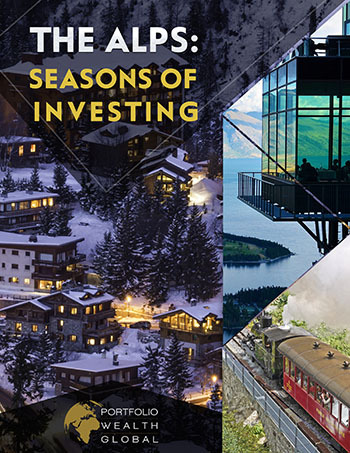 During my many visits to these majestic mountains, many priceless investing lessons were learned, and amazing experiences, which I will remember forever, were carved in my logs and memoirs. 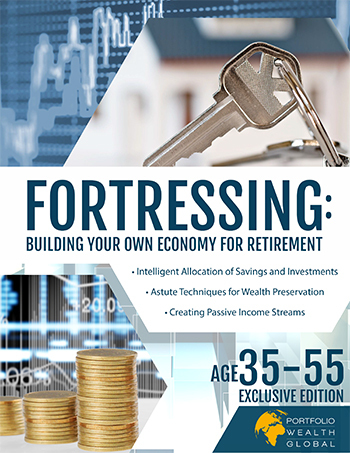 Become a refined investor and a Globeionaire thrill seeker by expanding your knowledge on how to explore and invest.